Arnold Schwarzenegger has got to be the greatest action movie star of all time. Okay, perhaps an argument could be made for Bruce Willis or Sly Stallone, but we would take Arnie all day long. The Austrian Oak may have had an ill-advised foray into politics, but we will always know and love him as of favorite action star. There was a time, from the late-‘80s to mid-1990s, when Arnie was arguably the biggest movie star in the world. Indeed, Schwarzenegger was the go-to guy for Hollywood action flicks back in the day, and is responsible for some of our all-time favorite movies. While the quality of his output may have waned in recent years, he’s got a pretty awesome back catalog. We decided to compile a list of what we consider to be Arnie’s best action movies – check out these absolute beauties. Considered by many to be Arnold Schwarzenegger’s finest film, James Cameron’s sequel to his ‘80s sci-fi hit The Terminator is one of the greatest action flicks ever made. Sarah and John Connor must team up with Arnie’s T-800 Terminator from the first movie. The movie is an epic, rip-roaring action masterpiece, filled with stunning explosions, car chases, gunfights, and the fate of the world. But, because it’s James Cameron, it also has the most poignant of endings as well – it’s just a shame the subsequent sequels had to ruin it! There aren’t many movies out there as awesome as this one. Predator is the perfect Arnie film in every way. It’s funny, the action is cool, there’s a great storyline, and Schwarzenegger has a cool-sounding name (Dutch Schaeffer). In many ways, we almost prefer Predator to Terminator 2, though both have similar concepts. Pitting the unstoppable force (Predator) against the immovable object (Schwarzenegger). Oh, and the production value is pretty awesome as well; this jungle romp is the perfect movie for reliving the ‘80s. Much derided, and criminally underrated, Last Action Hero is an absolutely wonderful movie. Ignore the naysayers, this great flick is simultaneously an appraisal and indictment of action films, and one of the earliest meta-action films. Arnie is basically poking fun at himself, and the action genre for the entire movie, as he plays both himself, and the pseudo-him, Jack Salter. This action fest about a young boy transported into his favorite action movie, by way of a special golden ticket, is absolutely Arnie’s most underappreciated film. One of the last truly great flicks Arnold Schwarzenegger made before his hiatus from acting, True Lies again sees him team up with James Cameron. True Lies is heaps of fun, and taps into many of the action movie cliches, flipping them on their head. This is a total thrill ride, with some great supporting turns from Jamie Lee Curtis, Tom Arnold, and Bill Paxton. Arnold Schwarzenegger has such a great back catalog of movies to choose from, which made this list really tough – trust us, Commando almost made it! But, we feel these give a true reflection of Arnie’s powers as an action star and rank among the best movies he’s made. 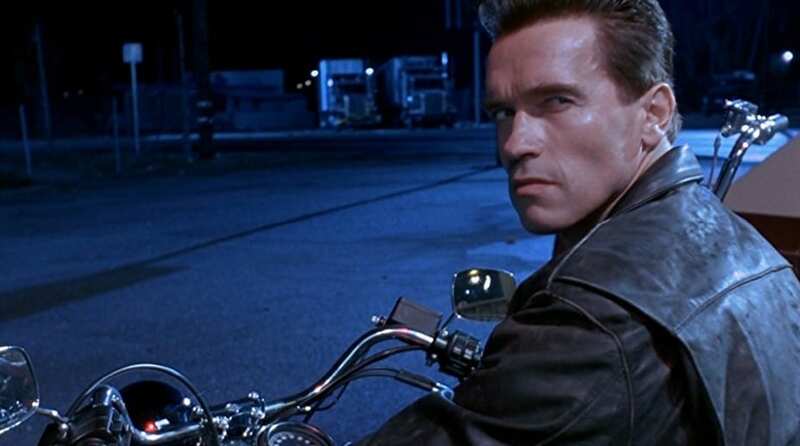 We agree Last Action Hero is contentious, but it’s also awesome, so it’s staying!